These are ss16 which is 3.6mm to 3.7mm. 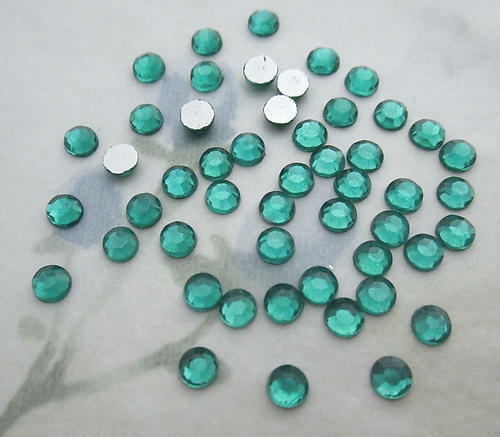 Vintage glass emerald green faceted foiled chanton rose flat back cabochons. New old stock. Jewelry supplies.